How do I submit my CAMP PINEAPPLE application? Camp Pineapple applications can be found on the registration page. Please complete the PDF form on your computer. Once complete, print and sign in all applicable areas. Please scan the application and e-mail it to our office or you can mail or fax it to us. Make sure to keep a copy for your records. What is the deadline for all other required forms? Once you have received confirmation from the Camp Pineapple Office, you can begin to complete your forms and make payments. Registered Campers must have all forms turned in by April 24, 2019. Camp Pineapple is limited to 40 campers and space will fill up quickly. We encourage our campers to submit their applications as soon as possible. Once you have received a confirmation e-mail from a Camp Pineapple staff member stating that you have secured a spot for the week, a $500 deposit is due within 3 business days. When is the total $1,500 fee due? The total cost of Camp Pineapple is $1,500, with a required $500 deposit due within 3 business days of confirmation from the Camp Pineapple staff that your camper has secured a spot for the week. Payments on the $1,000 balance can be made up until Wednesday, April 24, 2019. Payments can be made by credit card via our website or by completing the credit card form included with Camp Pineapple application. The application is found on the Registration page. Final payments are due by Wednesday, April 24, 2019. Checks can be made payable to UCF Rosen College of Hospitality Management and Camp Pineapple along with the camper’s name written on the Memo. 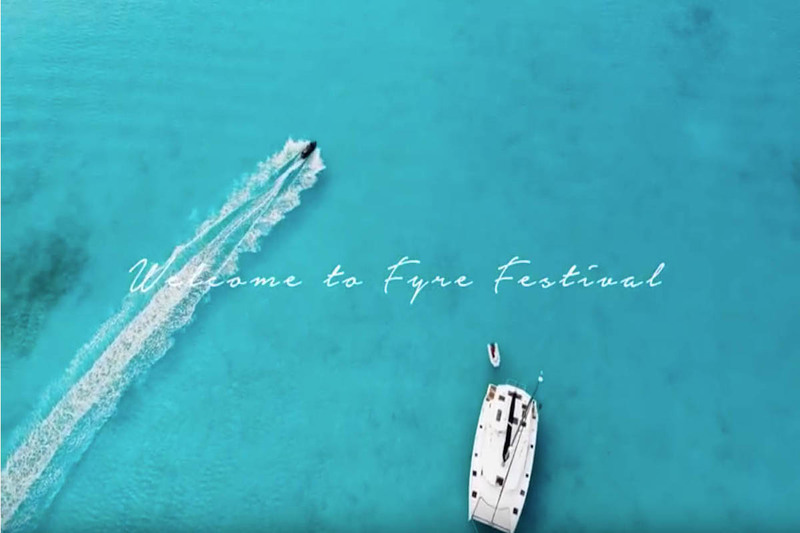 What does the $1500 camp fee cover? Camp Pineapple fees covers housing in the UCF Rosen College Apartments, transportation to and from all camp activities during the week by motor coach, 15 meals (dinner on Sunday, 3 meals per day Monday-Thursday and breakfast and lunch on Friday), all site visits, theme park visits, camp staff, 4 camp t-shirts, plus additional Camp Pineapple swag (TBD) will be provided to campers. Fifty percent (50%) of all payments made prior to cancellation will be refunded if a written request is received by Camp Pineapple by midnight on April 1st, 2019. Please allow ONE (1) week for processing of refunds. Written requests for application cancellation and refund should be emailed to camppineapple@ucf.edu. Please include the words Cancel/Refund and the Camper’s name in the subject line of the email. Only requests from parents/guardian listed on the camper’s application will be honored. After April 1, 2019, NO refunds will be granted. Yes! Once we reach our 40 camper maximum, we will maintain a waitlist based on the order in which camper’s contact us requesting to be on the waitlist via e-mail at camppineapple@ucf.edu. We will offer spots that become available to the first person on the waitlist and so on as additional spaces become available. If you are offered a space after the April 24 payment deadline, the $1,500 payment must be received in full. We do not guarantee that campers on the waitlist will be offered a space at Camp Pineapple as it will depend on the number of cancellations received. How much “spending money” should students bring to camp? Spending money for campers should be limited to souvenirs and snack purchases. All meals, Camp Pineapple swag, and transportation will be provided to campers throughout the duration of the camp. The UCF Rosen College Bookstore will also be open should campers wish to purchase UCF or UCF Rosen College items. Please be advised that we do not suggest campers bring a large amount of money with them and the Camp Pineapple staff is not responsible for lost money. When determining what amount of money to send with your camper please estimate the cost of souvenirs you think campers might buy. What are the UCF College Apartments like? Campers will spend the week living in UCF on-campus housing just like the college students. Our UCF Rosen College Apartments opened in 2005, just one year after UCF Rosen College campus opened. UCF Rosen College Apartments are located within walking distance of the UCF Rosen College Academic Building. Campers will have their own bedroom while sharing a bathroom with a fellow camper. The floorplans (see below) are spacious apartment-style four bedroom/two-bathroom units with full kitchens and living rooms. The building will be CO-ED, but each apartment will be single gender. Each room will have a twin sized, extra-long bed, a desk, chair, dresser and closet. The common living area has a loveseat, chairs and barstools for the kitchen counter. The kitchen has a refrigerator, microwave, and dishwasher but does not come equipped with pots, pans, dinner ware or cutlery. While all meals will be provided during camp activities, campers may bring snacks and non-alcoholic beverages to keep in their kitchen. All food and beverages must be removed at the end of the camp and the kitchen left clean. Are linens and bedding provided? Linens will be provided; but campers are welcomed to bring their own linens. If campers choose to bring their own linens and pillows, please write the camper’s name on their property. This will help identify any lost or misplaced items and so they can be returned to the camper. What else is available to me while living in the dorms? The community features a beautiful heated pool that gives residents a chance to relax and socialize during sunny days. Convenient study lounges on each floor and a camp activities community center provide space for activities and events or for larger groups to gather. Free laundry facilities on each floor. There are two bathrooms per apartment. Apartments are equipped with walk in shower, toilet, sink and toilet paper. Washer and dryers are available to campers free of charge. Laundry detergent is not provided and HE laundry detergent is required in order to wash.
Do campers have to clean their room? Yes, campers will be expected to maintain a tidy living space throughout the camp. What is supervision in the dorms like? All camp counselors, Director, and Asst. Director are on duty throughout the entire duration of the camp. In addition, UCF Housing staffs the office with professional and student staff members 24 hours a day. What time do we go to sleep? Camp Pineapple is designed where each camper will have an exhilarating journey, however campers are expected to be in their rooms by posted times each evening. What safety measures are in place at UCF Rosen College? 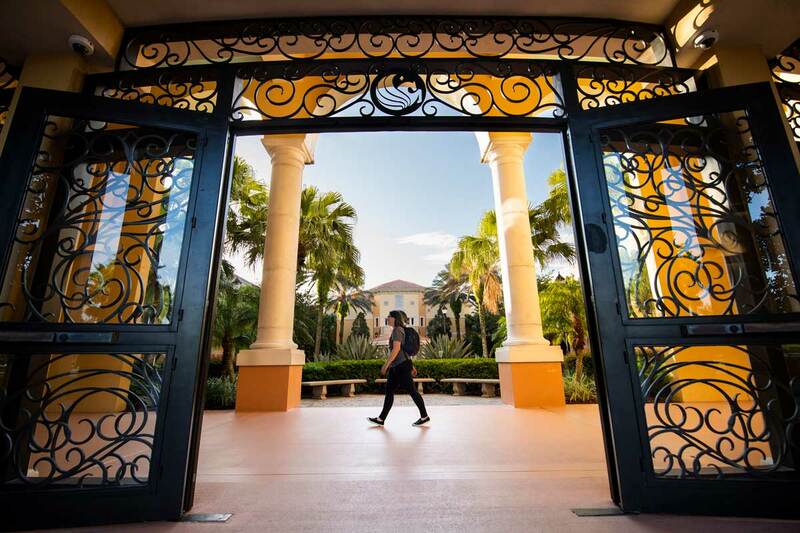 UCF Rosen College is a gated campus with campus security available 24 hours. UCF Campus Police have officers at the UCF Rosen College campus. Students must adhere to the Camp Pineapple Code of Conduct as part of the safety precautions. Campus security can be contacted at 407-903-8060. Camp Pineapple Staff is comprised of students. The Camp Pineapple Director, Assistant Director, and four counselors are all current UCF Rosen College students, or recent graduates. UCF Rosen College professional staff (non-students) will be attending all site visits and activities throughout the camp plus staying on-site. Camp counselors are assigned to groups of 10. Camp counselors are supported by the Director, Asst. Director and university staff members. Average Counselor to Camper is 1:10 with additional staff members on site. Camp counselors, Director, and Assistant Director serve as the camper’s counselors. Please visit the Camp Pineapple Staff section to learn more about our student staff. Trips throughout the week are supervised by camp counselors, Director, Asst. Director, and UCF Rosen College professional staff members. Travel insurance is not included. You should check with your travel agent, airline or other travel professional if you wish to explore travel insurance. Students should bring clothes for 4 days of outings, business casual attire for Friday’s closing ceremony, swimwear (optional), toiletries, shower towels, jacket, sunscreen. Campers will be given t-shirts that must be worn during the site visits each day. Campers should bring nice shorts, jeans, casual pants. Please be advised that short shorts or ripped jeans/pants will not be allowed on site visits because this is an industry exploration camp and we will be behind the scenes at various businesses in the industry. Campers will be required to wear Camp Pineapple t-shirts provided to them for the duration of camp besides the Closing Ceremony. Culinary labs will require closed-toe shoes with non-slip soles. Comfortable shoes including tennis shoes are suggested as some site visits will require a lot of walking. Once site visits are confirmed there might be specific clothing requirements required to go behind the scenes for safety and sanitation purposes. Information on any additional specific items will be communicated to all registered campers. The closing ceremony of Friday will include photos and presentation of certificates. We suggest that campers wear business casual attire (polo shirt and pants, casual dress, skirt and top) that they might wear to an awards ceremony at school. Official photos will be taken, and they will have the opportunity to network with our panelists, alumni and other industry professionals. We do not suggest that students bring valuables to camps with them. Cell phones are ok but in reality, the campers will be so busy there will not be a need for laptops and other personal electronic devices. Jewelry and other items should be limited to items that campers will need or wear daily. Camp Pineapple staff is not responsible for lost or damaged items. How much free time will campers have? Our Camp Pineapple schedule is packed with fun industry exploration and learning opportunities. There is limited free time and any free time will be announced by the Camp Pineapple Staff. All campers are expected to attend all site visits no matter their industry focus. The industry opportunities are vast and connected in various way. Campers will only be excused for extreme medical situations or emergencies. What can you do during your free time? Network and socialize with fellow campers! There are a variety of activities planned throughout the day and into the evening for campers to engage with each other. 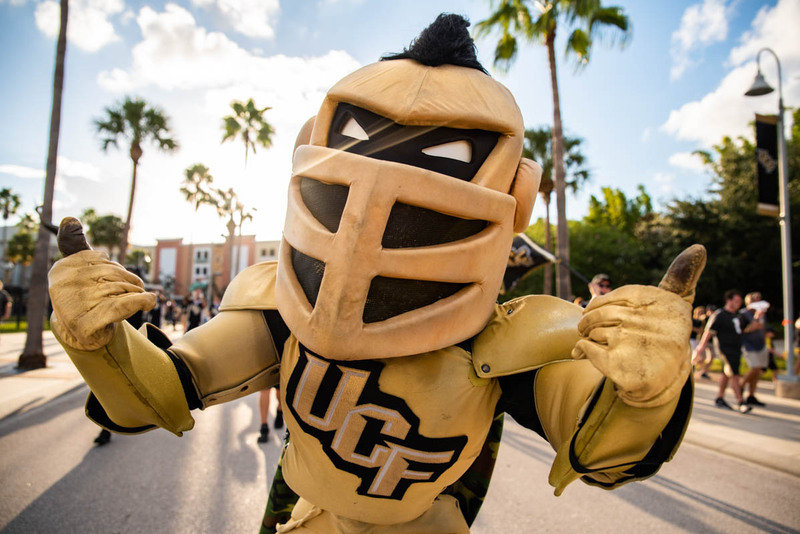 A typical day at camp starts with breakfast at 7:00 a.m. and evening activities end around 9:00 p.m. followed by a return to the UCF Rosen College Apartments. Most meals will be provided at site visits throughout the week and in the community room. Meals will be provided by Camp Pineapple Staff or industry partners. If a camper has a food allergy, that allergy needs to be listed on the application at the time of submission. This information will be reviewed prior to camp and shared with our industry partners so that we can assure campers that appropriate meals will be available to them. This information will also be reviewed with campers at check-in on Sunday, June 23rd. How will campers be traveling to sites? Campers and staff will be traveling to all sites together via professional transportation company. Students are not permitted to leave sites early or leave campus. Can a camper drive themselves to UCF Rosen College? Campers are allowed to drive themselves to UCF Rosen College. Students will not be able to drive their car off campus or until the conclusion of Camp on Friday. Refer to the form that needs to be completed regarding travel arrangements. My camper takes medication regularly or on occasion for certain symptoms. What is the process for medication to be administered or the policy for campers to have their own medication? Campers will be expected to administer their own medications upon completion of the Camp Pineapple Medical Authorization form. Camp counselors will collect and store medications upon the arrival of the campers. Please refer to the policies listed on the Camp Pineapple Medical Authorization form that can be found in the forms section. For the safety of all campers, they are not allowed to have medications with them. When they need to take their medications during camp, they should see the assigned staff member who will provide them a sealed bag with their medications. Once they have taken their medications, they will be returned to the staff member in the sealed bag. Please contact us by phone or email with any additional questions and we will get you an answer.